All tables are prepared by using Gedmatch MDLP K23B. This example similiar to modern predominantly caucasoid Turkic groups and modern Tadjiks. Also, this example is not similiar to other modern Iranic groups. This example is similiar to modern predominantly mongoloid Turkic groups. Also, this example is not similiar to any modern Iranic groups. They're still Iranic, not Turkic. These Scythians are not representatives on how they were genetically and racially were since these Scythians had admixed with local neo-Mongoloid women of Siberia and Mongolia which is how the Turkic peoples emerged. They were NOT Iranic. There is nothing that proves it. 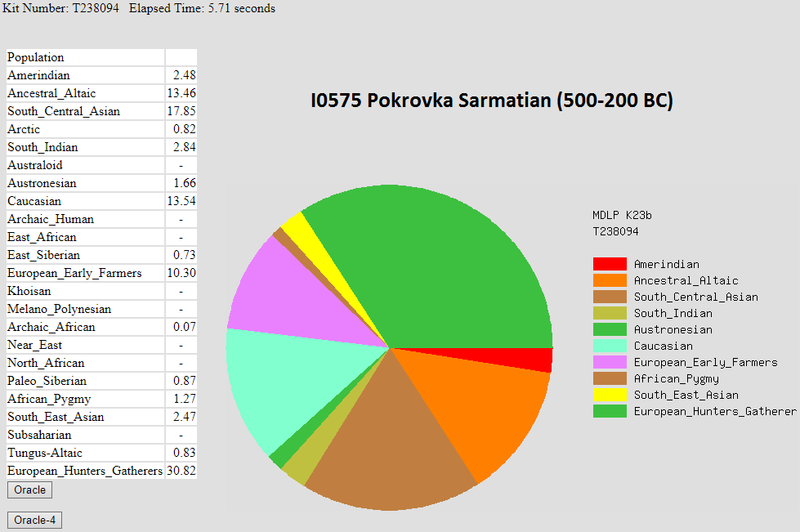 Also many historians said they were Turkic(maybe with another ethnic groups). They might be closest to Tatars but the distance to them is still quite big, they are still slightly more West Eurasian shifted than Tatars. There is nothing that proves it wrong either as Turkish pseudo-science has failed heavily to prove it wrong too. They have some words that passed down to Slavic people that have Iranic roots, not Turkic lol. Turks never originated as a West Eurasian ethnicity, only partially West Eurasian ancestry. No. Many Linguists said their language were Turkic like Mordtmann, Zekiyev etc. Also genetically and culturally they were Turkic. You must leave your Indo-European fantasies. Off course they were Türks,they are our forefathers. 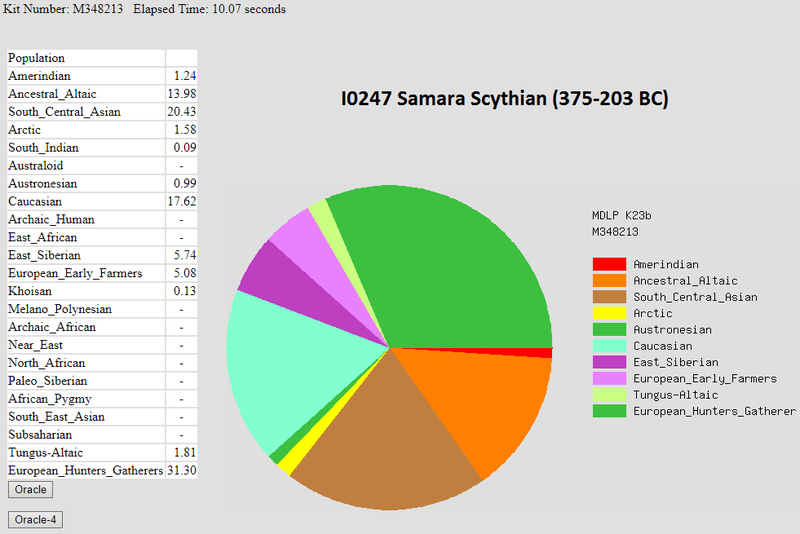 Lol at iranians claims the Scythians with their south asian apperance. Inactive akhi.. أقول وداعا لإخواني الآن. nicht immer. turks originated as a african (subsaharan) ancestry..dont know you? Genetic "balanced" Mulato Latinos with Pictures and genetic results.